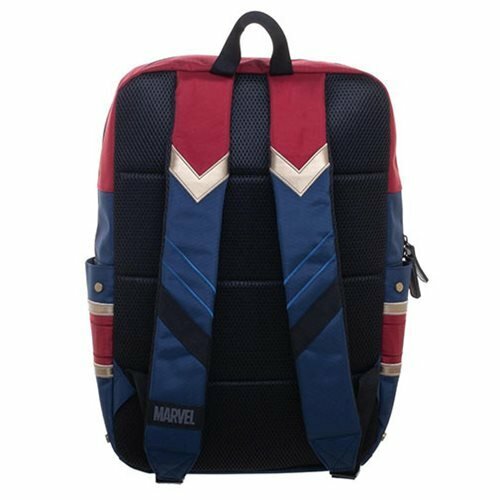 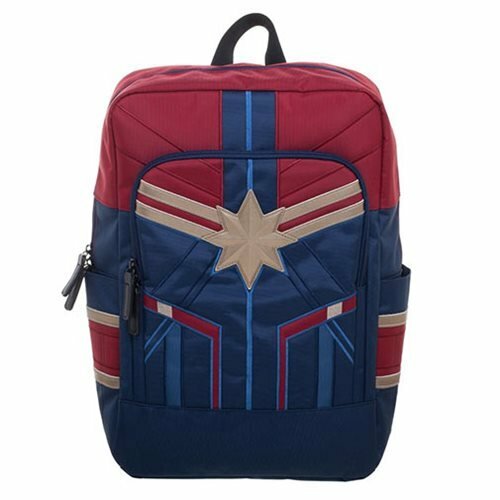 The next time you suit up to save the world, remember your Captain Marvel Suit-Up Backpack. 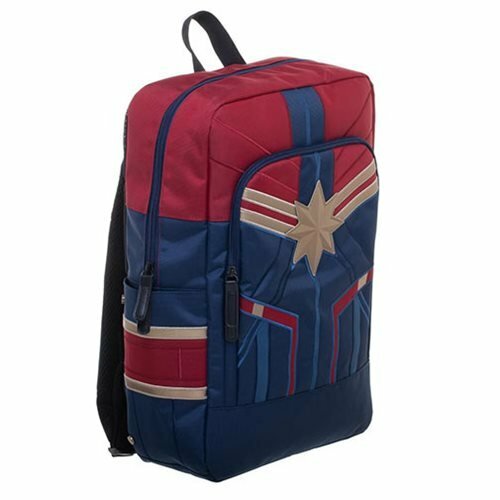 Measuring about 18 1/2-inches tall x 14-inches wide x 5-inches deep, it's big enough to house a 15-inch laptop in the padded pocket. 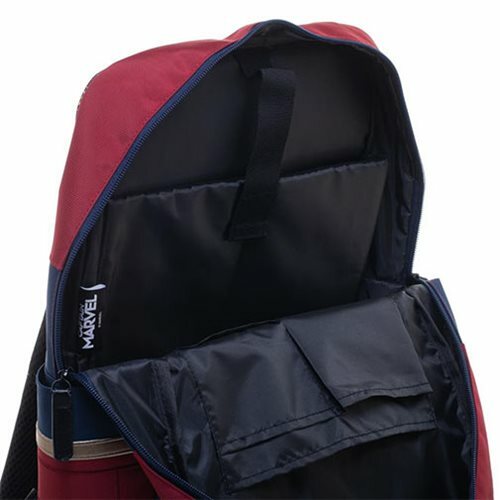 Made of durable materials, it features zipper closure, organizing pockets, adjustable shoulder straps, and a handle on the top. 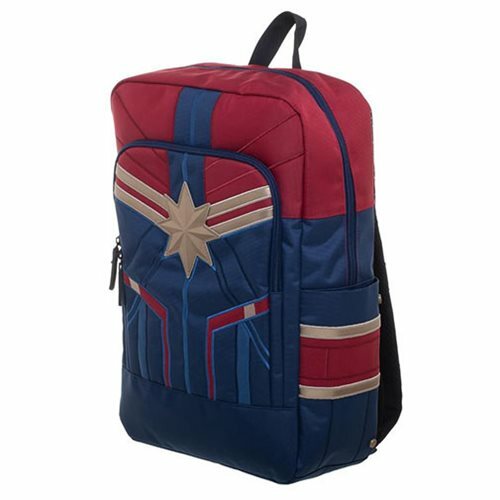 Carol Danvers has one and so should you!